Lady Jane Grey was a heretic ,if she was to truly know the Sacred Scriptures as well as she thought she did ,she’d know the 2 book of Maccabees talks about praying for the dead .Even some of the eariest “reformers” accepted the Septuagint canon of the Sacred Scriptures.Second of all the 20th chapter of St.John’s Gosple clearly states the origins of confessioning one’s sins to a priest (see John20:22-23),and the big one is concerning the real presence of Christ in the Holy Eucharist something that she and every heretic rejects ,yet is definitely surportly in Sacred Scriptures (see All of Chapter 6 of the Gospel according to St.John.Yet none of your undering of predestination is no where to be found in the bible ,and nor is the protestant concept of”faith alone”see James 2:17,and countless other passages in the bible that rejects that false teaching.Last but certainly not least the intercession of saints can be found through out the book of Revelation.In the end this just proves how totally clueless Lady Jane Grey was about the truth ,and I’m in no way judging her soul but she totally missed the point of the true and everlasting Catholic faith. “I’m not judging her but hey…. she’s wrong” ok…. sure. And you’re missing the point of the execution. Treason, not heresy. 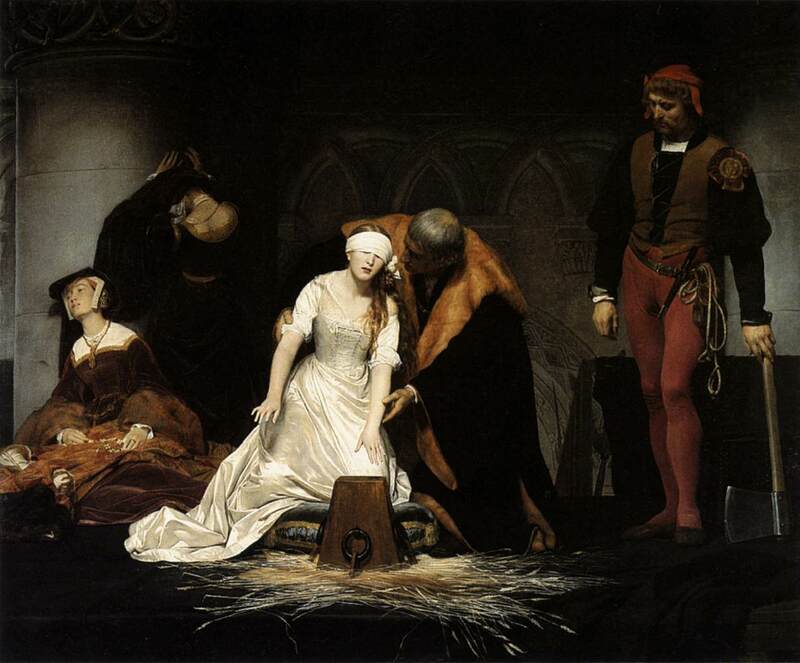 I thought Lady Jane Grey died with dignity and poise, trusting faith in the God her heart was devoted to. We all walk the paths precipitated by fortune. One of the reasons I enjoy executedtoday.com so much is that it gives us a glimpse into the lives of historical figures (many of whom I never knew of) that faced death on their own terms. I can’t wait to read this – I’m a history graduate and I was taught at A level (1975) that Jane Grey was thoroughly used by her family, although I always thought her reply to to Mary about the altar/table conversation was breathtakingly arrogant, even though I am a convinced British Anglican.